The Rent Fitness Equipment Company: The Best MultiFamily Properties in Seattle Washington Rent Fitness Equipment for Best Results. Rent Health Club Quality Fitness Equipment, With Only A Month To Month Contract. That Includes Regular Fitness Equipment Maintenance And FREE Repairs FOREVER. The Best MultiFamily Properties in Seattle Washington Rent Fitness Equipment for Best Results. Why Do The Best MultiFamily Properties In Seattle Washington Rent Fitness Equipment ? Seattle Washington has 1,069 apartment and multi-family properties and why the best onsite fitness centers in Seattle should use the Rent Fitness equipment option. The reasons to rent fitness equipment is to save money, remove hassles and provide a turn-key onsite fitness center for the residents. Why do these Seattle Wa. 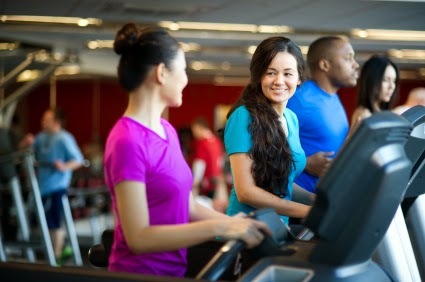 multi family apartment properties rent the Health Club quality fitness equipment inside their on-site fitness centers? 1) The management does not have to make a capital purchase of the expensive Health Club quality fitness equipment. They do not have to buy it and own it and keep it on their books. 2) The management does not have to provide and pay for regular fitness equipment maintenance. 3) The management does not have to pay for the repairs on broken fitness equipment. 4) The management can budget for one easy monthly payment that includes the regular fitness equipment maintenance and the repairs of broken fitness equipment. The management can be assured they never have to budget for unexpected costs related to the maintenance and repairs of the fitness equipment inside their onsite fitness center. 5) The management does not have to make a long term commitment or sign a lease that locks them into a long term decision. They do not have to use their credit line to buy this fitness equipment. 6) The management can make one easy decision by approving a simple monthly budget that never changes. 7) The management gets to provide higher quality Health club fitness equipment that is more expensive than their budget would allow. These are the most important reasons that gives management an easy option they can cancel at any time if it proves to be a bad decision. Seattle Washington apartment properties have many important decisions to make that they have to live with long term. Now they can make one simple decision to make their on-site fitness centers top quality and regularly maintained and repaired without putting a burden on the management team. See the frequently asked questions by business's that think renting fitness equipment is the best decision for their business. The best rent fitness equipment blog in the World.